While the 2018 Commonwealth Games will be a chance for celebration throughout Queensland, on the Gold Coast the games will have a major impact on the transport network, and consequently on local schools, teachers and school leaders, students, and parents. Last year’s QTU Professional Issues Conference was themed “Anticipate. Educate. Activate. Celebrate”. If that theme was a Commonwealth Games event, our QTU Gold Coast branches would be undisputed gold medallists. That’s because our Gold Coast members have anticipated the impact that the games will have on local networks and have educated and organised. That has included collecting information, drawing on local knowledge, speaking to other members and working with their local QTU Organiser. Through their organising, members have generated deep understanding of the impact of the games, and this has been used to carry motions at their local branches. were sent to the QTU in Milton for action (this is the responsibility of the branch secretary). The activism and democratic processes that Gold Coast members undertook provided a significant body of local knowledge that QTU Officers were able to present to the department. The local knowledge helped to educate decision-makers and shaped the position that the department has committed to regarding teacher and school leaders’ entitlements. QTU action resulted in a commitment from the department that QTU members would not be penalised in terms of anticipated travel time or loss of salary and/or leave entitlements during the weeks preceding the games. QTU action also resulted in a commitment from the department that adequate supervision would be available to schools in the weeks leading up to the games. The department has committed to continuing to listen to emerging issues that QTU members anticipate and experience. 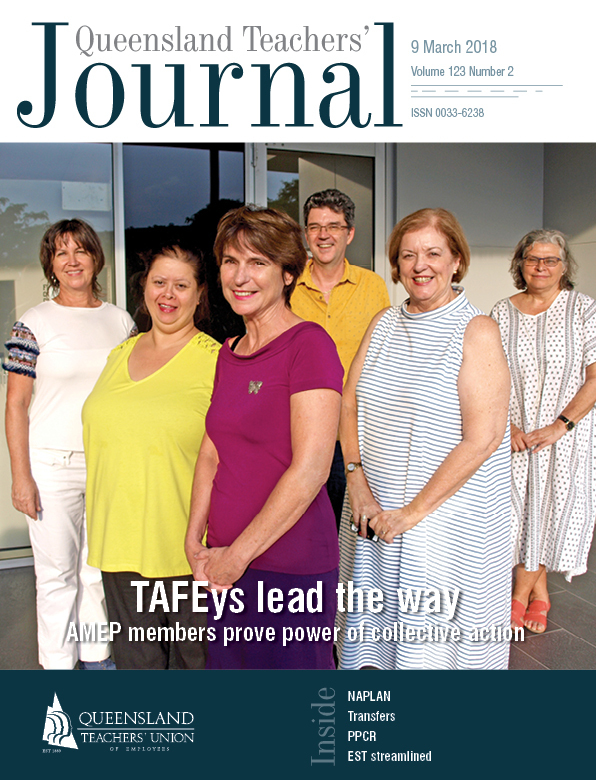 By the time this Journal goes to print, Gold Coast members will have had access to information from a variety of sources, including the website getsetforthegames.com We celebrate the activism of our Gold Coast branches. The trade union movement is founded on the principle that there is power in an organised collective, and the actions that our "gold" members have taken are commendable.